This post was written by the Barefoot Torchbearer, Loren. She lights the way for our pain management clinic. Her story is one of enormous transformation (losing hundreds of pounds of body weight and regaining her ability to move well). Here, she offers a unique perspective on how passionate she is about showing suffering people the light when it comes to their pain, health, and life. I’ve had a few very strange encounters with doctors over the years. I wasn’t even looking for a pain management clinic at the time – I was just trying to find a general practitioner that I felt comfortable with. It hasn’t always been an easy thing to find. 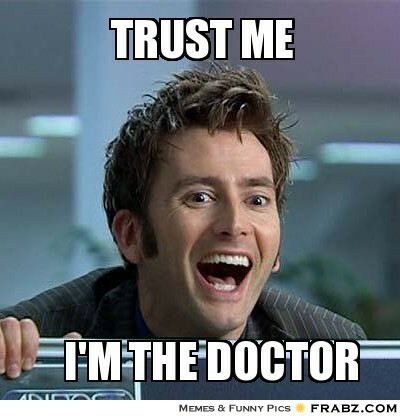 A few years ago I had an appointment with a new doctor who was highly recommended by a co-worker. The doctor’s office was beautiful, the staff was polite and friendly, the examination room was immaculate, and all the plants looked really healthy. I had high hopes that I’d like this doctor as he walked in and introduced himself. He sat down on his little doctor stool with my new patient form on his lap, and looked at me intently. I’m not sure how long exactly I sat there with my mouth open trying to process that statement, but I knew at that moment that this was not the right doctor for me. What he said told me everything I needed to know about his practice. First of all, he did not believe that people over 40 could be in good enough health to be living life without any prescription drugs. Second, it was highly unlikely that any of his patients who were over 40 were not on some kind of medication. Lastly, he clearly wasn’t going to be interested in discussing non-traditional options if I was ever diagnosed with something that required on-going treatment. Nope – this guy and I were definitely not going to get along. He seemed rather surprised when I told him that as I picked up my personal belongings and started to leave without even being examined. I don’t play games. I know what I’m looking for in a medical practitioner. I know the kind of care I want to receive. I know that I need a doctor who isn’t quick to write prescriptions, who will listen to me and my concerns, who will pay attention when I say that something isn’t right and who doesn’t believe that age alone is an indication of limitations or needs. I want a doctor who believes that there are a lot of different possibilities and options when it comes to living a life rooted in good health and that many of those options are not found in a pill bottle. There are some medical specialties that make it even more challenging to find a trustworthy practitioner. Some specialties, such as a pain management clinic, would likely benefit from having patients who just keep coming back repeatedly so they may not seem to be fully invested in helping their patients get completely healthy as quickly as possible. That’s where a pain management clinic like Barefoot Rehab sets itself apart from the rest. It may sound crazy that we want our patients to get well enough to no longer need us. Maybe it seems odd that we want to provide our patients with a clear and correct diagnosis, even if that means that we need to refer them to a different doctor who can provide them with the treatment that they really need. One of the reasons I decided to work at Barefoot Rehab was because they truly put the needs of the patient first. With all of my crazy experiences with doctors, it was so refreshing to meet a doctor who is really trustworthy. I had started to believe that no such doctor existed! Luckily, Dr. Chris and Dr. Curtis have restored my faith in doctors. Do you trust your doctor? Does he or she listen, pay attention to you and explain things clearly? Do you believe that your doctor truly has your best interests at heart? Or do you feel like your doctor just wants to keep you coming back indefinitely? If you want to see what it’s like to really trust your doctor, it might be time to get to know our doctors at Barefoot Rehab. Do you have any crazy doctor stories? Please share comments below. I’ll share more of mine in later posts.